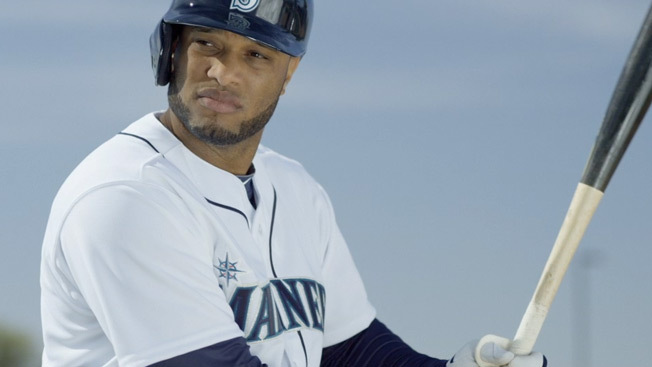 The Seattle Mariners considered Robinson Cano to be a heavenly catch this off-season, and there's a divine aura about him in the team's first ad with its $240 million second baseman. Seattle's Copacino + Fujikado, now its 20th season handling ads for the Mariners, welcomes the 31-year-old with the 30-second spot below, in which Cano doesn't have to utter a word to communicate just how awesome he is. Agency co-founder and creative chief Jim Copacino tells AdFreak he felt a fair amount of pressure to produce a special debut commercial with Cano. C+F almost got Ken Griffey Jr. to do a spot with Cano (it would have been about how they both wear No. 24, though actually Cano is switching back to his original Yankee number, 22), but Griffey had a conflict and couldn't make the Arizona shoot. So, they went with this spot instead, and Copacino says the shoot couldn't have gone smoother. "With a guy of this magnitude coming in, we didn't want to trivialize him or be too cute," he says. "A writer here, Andy Corbett, a very funny guy, came up with this notion that Cano has this charismatic aura that follows him everywhere he goes—slow motion and music. It was an easy spot to shoot. The first time we worked with him, we didn't want to burden him with too much responsibility in terms of lines and acting." C+F also put together the highlight reel below of its 20 years of Mariners spots. At least in its advertising, this is a team that's on a long winning streak. Editor: Troy Murison, Dubs Inc.